Our last article focused on the danger posed by carbon monoxide but there are of course many other gases all around us that can damage both our health and property. Heating systems, including for hot water, can be dangerous and so one of these that is powered by gas is potentially double the danger - it must therefore be of the highest quality and regularly tested to ensure it is safe. Gas analysers are an important part of the inspection process and, at HECAS, we offer these products made by two of the most reputable manufacturers in the business - Kane and Anton. 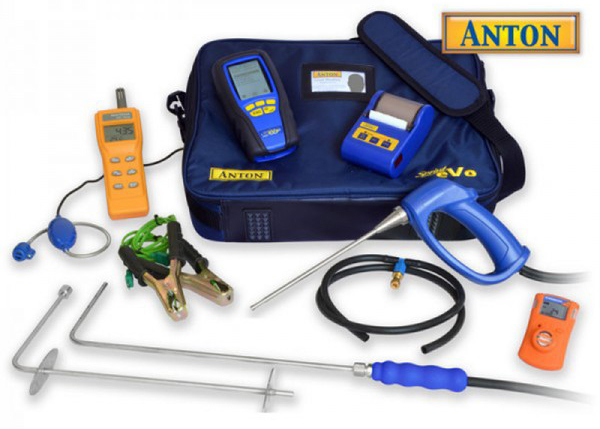 The Anton Sprint Evo 2 Kit is our bestseller thanks to its ease of use and remarkable functionality. It is incredibly portable and manageable, based in a large laptop-style holdall and designed with improved ergonomics to include over-moulded protection and a simplified purge structure. The menu system has been fully upgraded and modernised and is now intuitive and simple to use, offering a full complement of analytic facilities designed to meet the needs of even the most thorough professional. Use this high-quality product to instantly transfer information to a computer via USB, creating personalised printouts and storing on the generous internal memory. As well as the gas analyser itself, the kit contains a host of accessories designed to make the work even easier. Save 10% on these robust products TODAY! HECAS - the name you can trust.